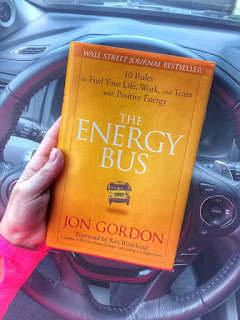 Your positive energy and vision must be greater than anyone's and everyone's negativity. One of the personal development books that I have been reading is The Energy Bus, by Jon Gordon. I've found that by implementing personal development into my daily routine my outlook on life, confidence, and drive has greatly increased. 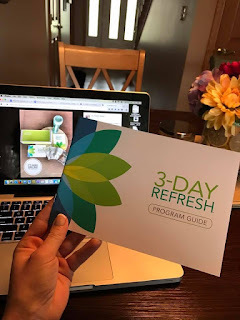 A few weeks ago I was feeling awfully sluggish, not real motivated, and bored with my daily routine in terms of health and fitness. When that happens, I know one thing that needs to change. MY WORKOUT. Like many others, I get bored from doing the same thing over and over again so switching things up a bit not only gets me re-motivated, but it's good for my body. All programs work your muscles differently so changing things up every now and then is one way to help break a plateau. exactly a "cardio junkie" but I felt pulled towards that program to help me lose some final pounds and give the weights a rest. I have to admit, the first several days I doubted my decision. I wasn't sure if I could really get through it. 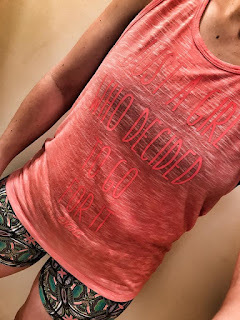 I had to (and still have to) modify throughout and sometimes can't quite keep up with the infamous, Shaun T. But you know what? THAT'S OK!! One thing I stress to my challengers in my accountability groups is that as long as you are giving 100% of yourself to your workouts, it's O.K. to modify! We are all at different levels in terms of fitness. 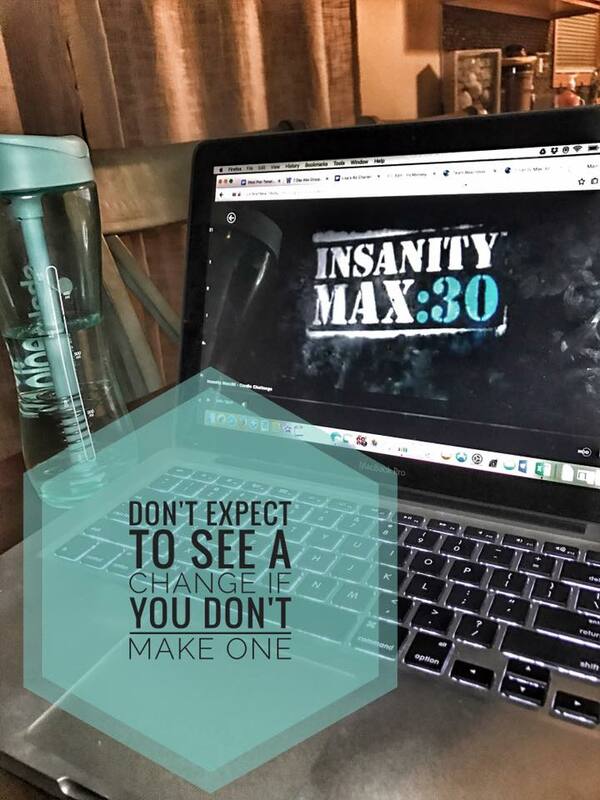 When it comes down to it, you can't expect to see a change if you don't make one, right?! As my journey has continued, I completed the first workout of WEEK 3 this morning. My "max out" times are improving and the modifications are getting less and less. I am happy with my progress thus far and plan to continue. 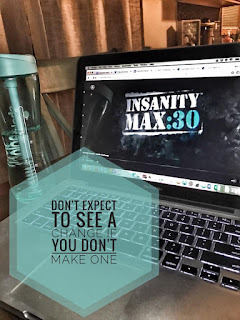 Insanity Max 30 is a pretty intense workout if you are looking for something new. A lot of people are afraid to give it a try (I was too) but to be honest, if you start off following the modifier it's really not all that bad. You will end your workout dripping in sweat and feeling stronger than ever. It's crazy how Shaun T can create a program that implements strength training without the use of weights. Between the push-ups, tricep dips, and squats / jumps, believe me, you don't have to worry about not having weights! The nutrition plan with this program is similar to that of the 21 Day Fix, which is the color coded portion control containers / system. 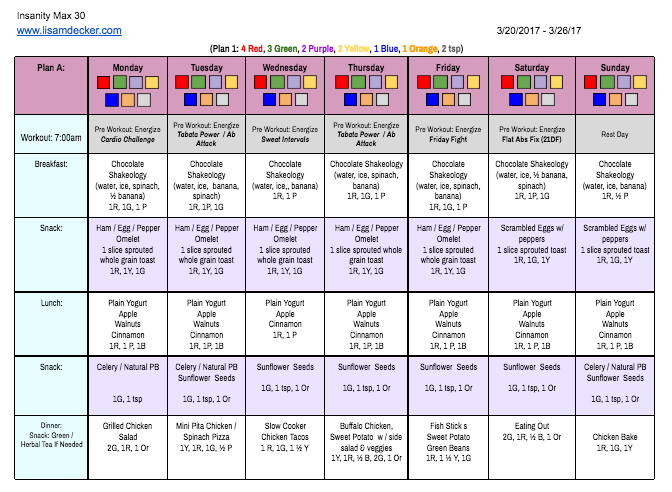 This is the nutrition plan that I have been using for YEARS with some small tweaks here and there. I find it to be simple, and once you get the hang of it, easy to plan out. I love that it's real food yet not anything crazy expensive. As always I do still drink my chocolate Shakeology daily! It's something that I would never give up. In fact, I could probably count on one hand how many times in the past 3 1/2 years I missed a day. I love starting my day with it and the benefits outweigh any cons or resistance that people have towards it. As you can see in my plan above, I am also implementing a 3 Day Refresh this week. I am heading out of town next weekend and would love to drop a few pounds, get rid of the bloat, and give my body a good cleanse. The 3 Day Refresh is perfect for that. I always feel energized and fantastic after it's over! Stay tuned for my results! Interested in getting some extra support and accountability? Do you tend to lose motivation or you just don't know where to start? Fill out my form below to get more info about my virtual accountability groups!Throughout my 4 week groups I provide daily support, motivation, recipes, tips, and of course, that added accountability to help women reach their goals.